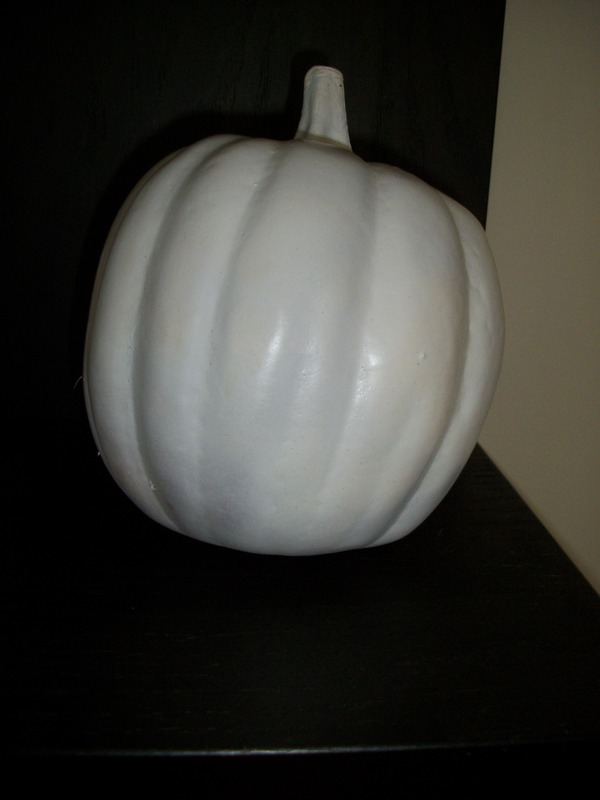 Not sure if you’ve noticed or not but it seems that white pumpkins are the thing this year. I’ve seen them everywhere. Stores, blogs, magazines. I guess they are more classy looking? I had these two pumpkins that I bought last year and I really didn’t have much of an attachment to them so I gave the white thing a shot. I spray painted them with a glossy white paint. I didn’t paint them perfectly because I kind of liked the gold showing through a bit. They came out pretty good and I’ll use them as autumn decor but I’m still not sure how I feel about them. Any thoughts? 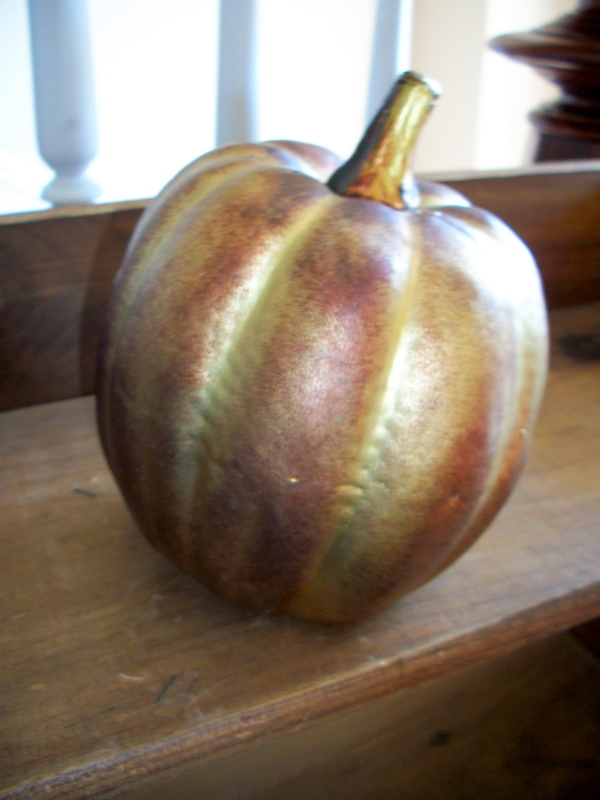 Are you decorating with white pumpkins this year?